Upon entering the front door to the large foyer of this custom built home, you immediately see the great room, with its coffered 15 ft ceiling, wall of windows overlooking the rear yard and amazing fireplace made of stack stones surrounded by built in Alder bookcases. There are three generously sized bedrooms with the master bedroom having a back-lit ceiling detail, California closet and master bath. The master bath has a free standing tub, dual sinks and a custom walk in shower. The roomy kitchen is a cook's delight; beautiful Alder cabinets with many specialty features, an island with a finished butcher block countertop that can also accommodate two bar stools, stainless appliances, gorgeous granite counter tops with an additional area for more bar stools. The dining area is all windows plus a door to the patio. The area lends itself to either a casual or formal experience. The rear hall houses a guest bath, laundry room and spacious walk-in closet/pantry. The generous built-in bench with cubby holes makes life easier for all. All windows in this house are Pella and all doors are stained wood. Prefer a different style? 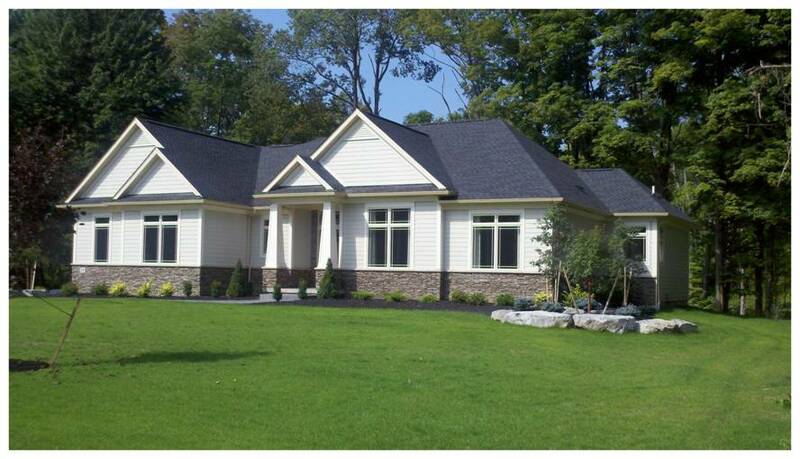 Ask us about building on one of the other lots available. 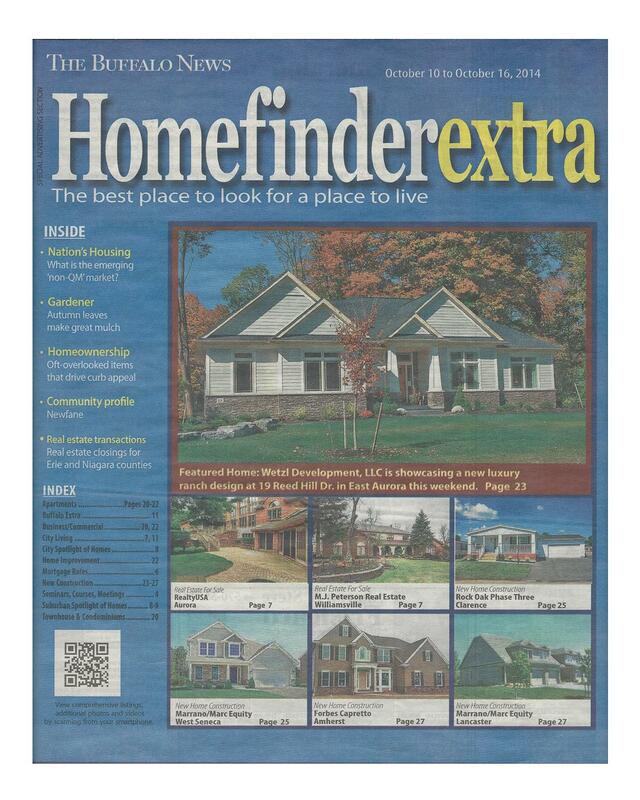 Reed Hill was featured in the Buffalo News Home Finder.